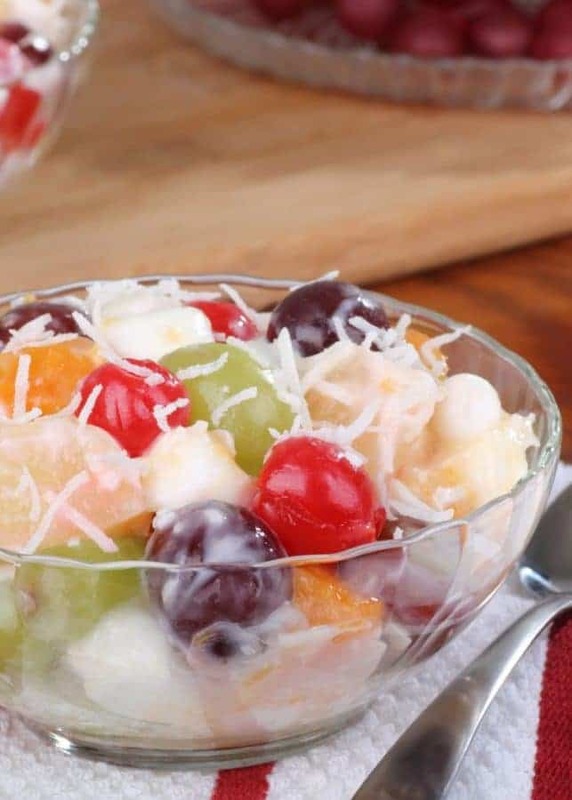 Love fruit salad? 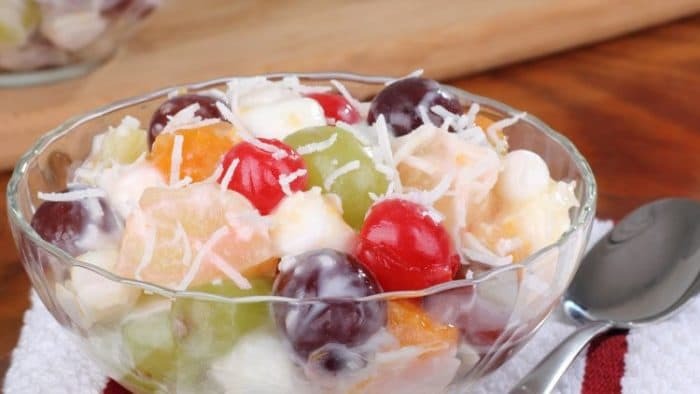 You’ll really enjoy this simple easy fruit salad recipe. It is no frill but yummy, yummy, yummy. You won’t believe how easy this recipes is to make and how absolutely delicious it is. We can’t get enough of this fun salad. 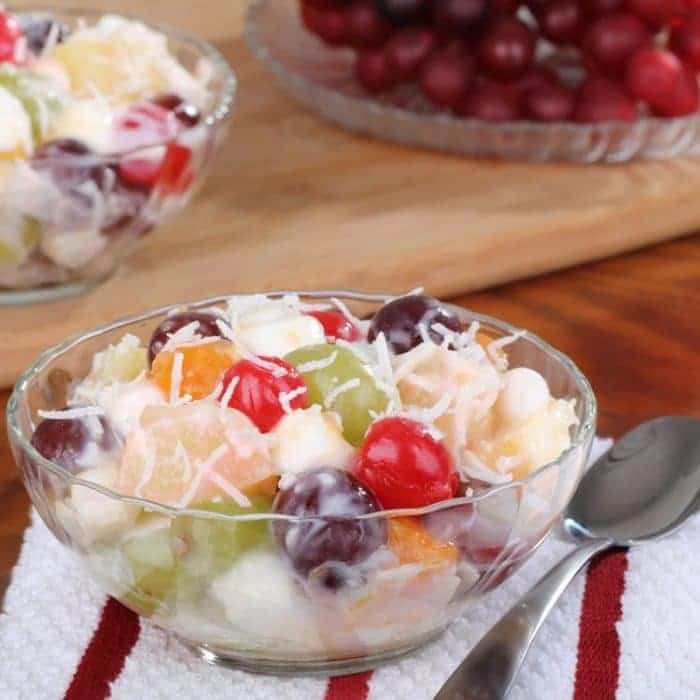 It’s full of all the fruit we love the most, and just a touch of optional ingredients that are perfect for those who want to make their fruit salad just a little bit sweeter with mini marshmallows. Because you know that kids especially can’t resist a salad with marshmallows. Take a bit of this salad and a breath of fresh air. That’s because you’ll be breathing easier knowing that you don’t have to worry about getting in all your fruits and vegetables. But, if you do need some more ideas for ways to incorporate fruits and vegetables into your daily diet, we’re here to help you. You’ll love our easy guacamole recipe, and adore our black bean salsa. We’ve found both of these to be exceptional for serving up veggies to picky eaters. Add in a chip and you’re golden. This salad is just one of many ways to get your kids (or yourself) to eat more fruit. We’ve been pushing fruit in our house a lot lately, and something that has been working wonderfully for us is apples with peanut butter. Use what works and enjoy it over and over again! Place the oil in a mixing bowl. Add the orange and lemon juice and whisk until well combined. Stir in the sugar and continue stirring until the sugar has completely dissolved. Place the pineapple, oranges, grapes, pears, banana and apples into a large salad bowl. Add the cherries and marshmallows and toss the ingredients together well. Pour the juice mixture over the fruit and stir to cover the fruit completely.